Now it's time to take back control! 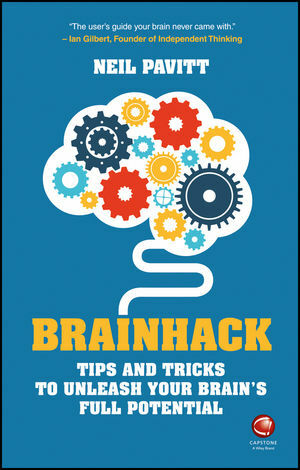 In Brainhack, creativity coach Neil Pavitt gives you tips and tricks to re-programme your brain, developing the skills and insights that can transform how you think, solve problems and make decisions. Neil Pavitt has over 25 years' experience as an award winning Creative Director and Writer in advertising and television working for companies like Saatchi & Saatchi and Sky. He is the founder of Lightbulb Consultancy, who specialise in demystifying the creative process for clients such as Lloyds Bank, AstraZeneca and Goldman Sachs.